The scan hangs up/freezes every time. Developer requires for analyzing a specific issue. Other issues which prevent you from using the product normally. How to send System Diagnostic Reports. How to send Samples of EaseUS Data Recovery Wizard. 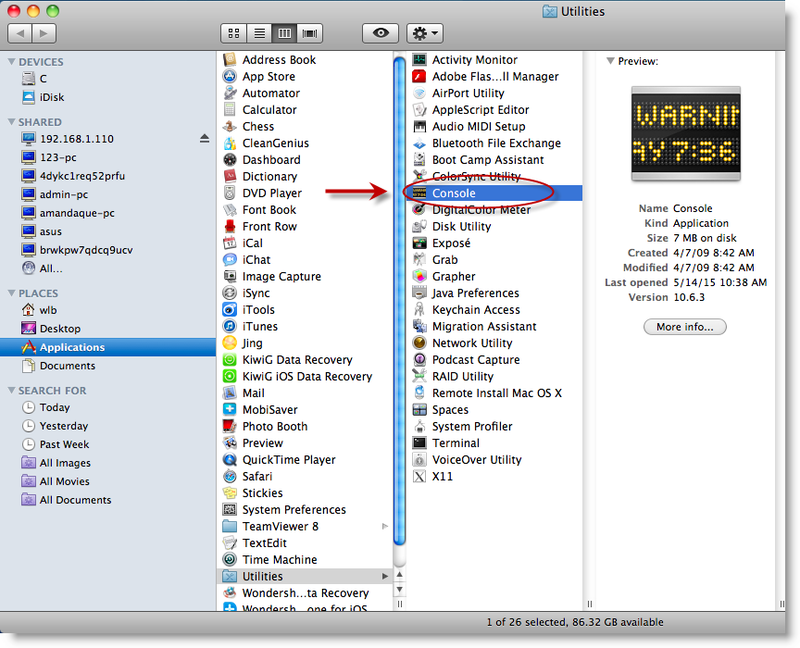 How to send log files of EaseUS Data Recovery Wizard. 1. 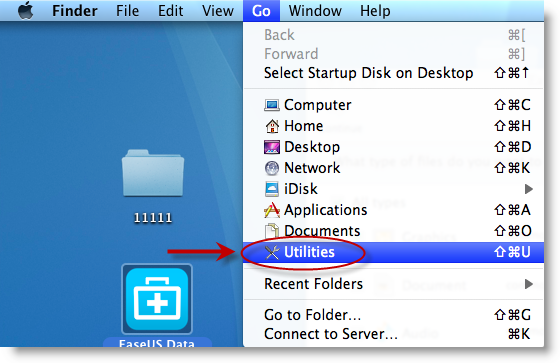 Move mouse to Desktop first, then choose Finder -> Go -> Utilities. 2. Find Console and run it. 3. 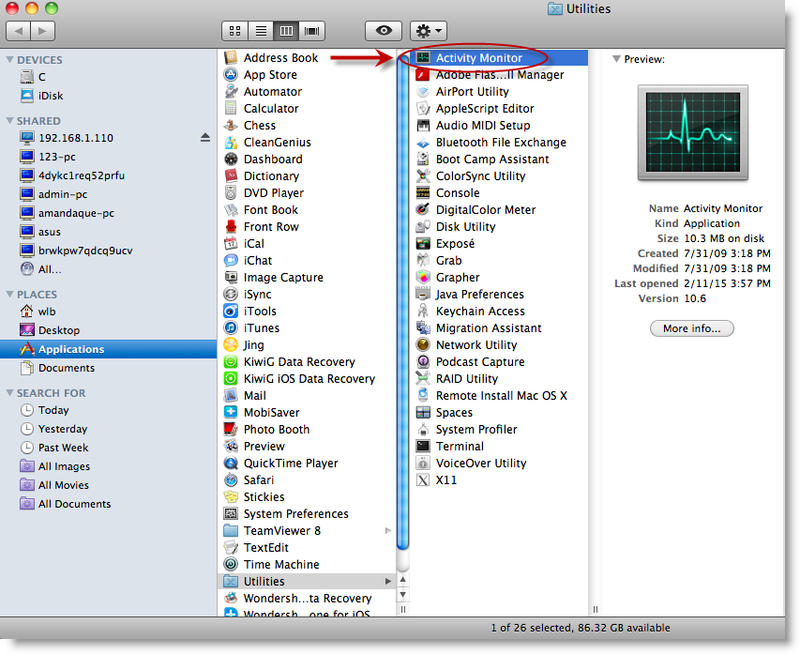 Unfold System Diagnostic Reports, right-click a file with the name of “EaseUS Data Recovery Wizard” and select Reveal in Finder. 4. After that, you could copy all EaseUS files to EaseUS technical support team. The Samples are very useful to analyze the issue when the program hangs up/freezes or failed to save the found files. But you need to catch at least two samples so the development department could locate the issue much better. 2. 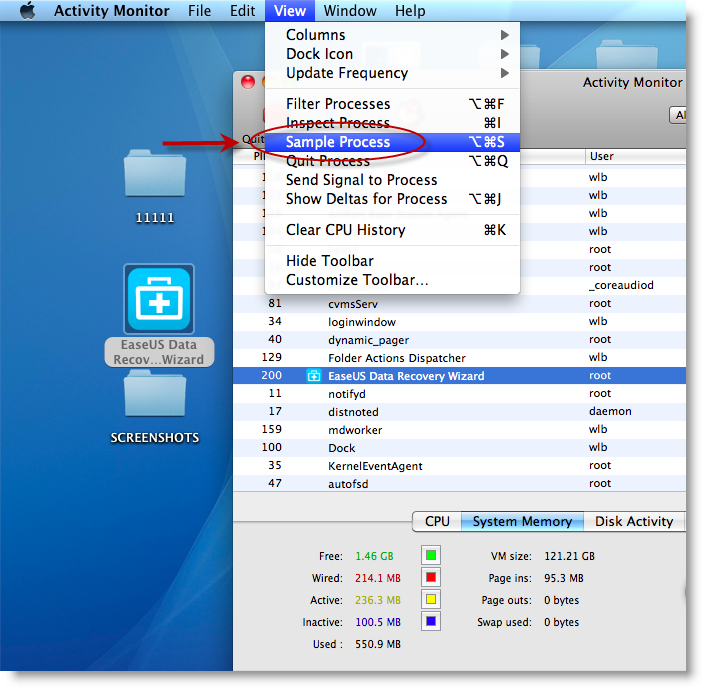 Find Activity Monitor and run it. 3. 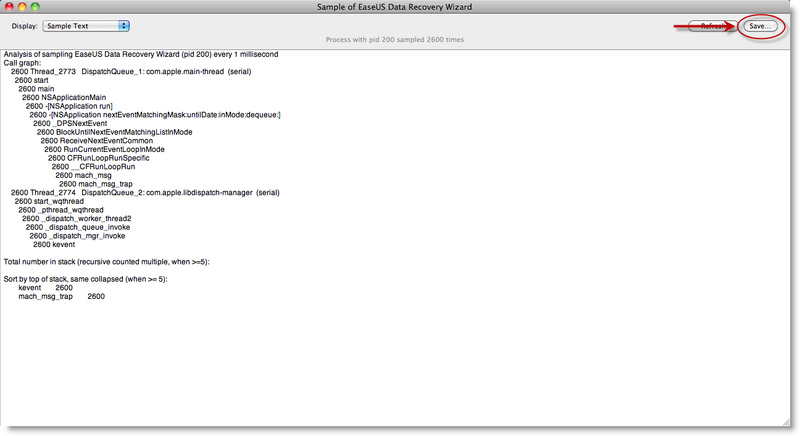 Select EaseUS Data Recovery Wizard in the list, then click View -> Sample Process. 4. Click Save to save this sample file. 5. Close our product and then run it again. Once it gets stuck, please follow the steps above to get another sample file. 6. Send all sample files to EaseUS technical support team. 1. 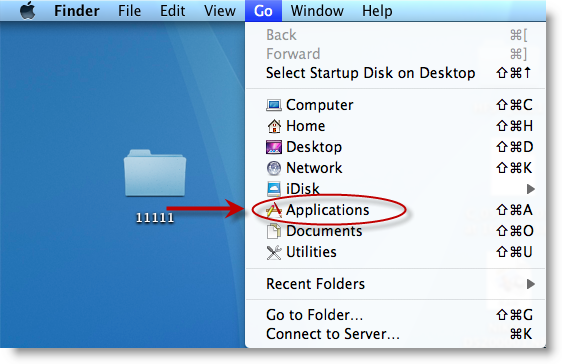 Move mouse to Desktop first, then choose Finder -> Go -> Applications. Or you could use the way you are familiar with to open it. 2. 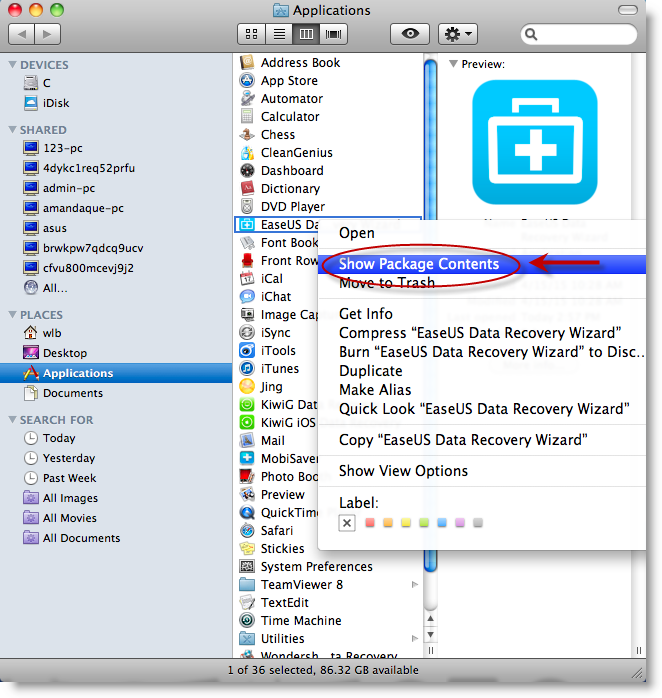 Find EaseUS Data Recovery Wizard, right click on it and choose Show Package Contents. 3. 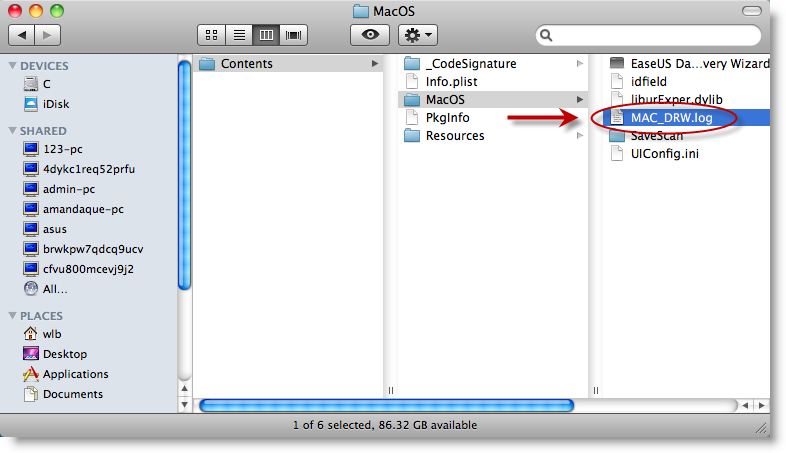 Select Contents -> Mac OS -> EaseUS Data Recovery Wizard, right click on the file to choose the Show Package Contents again. 4. 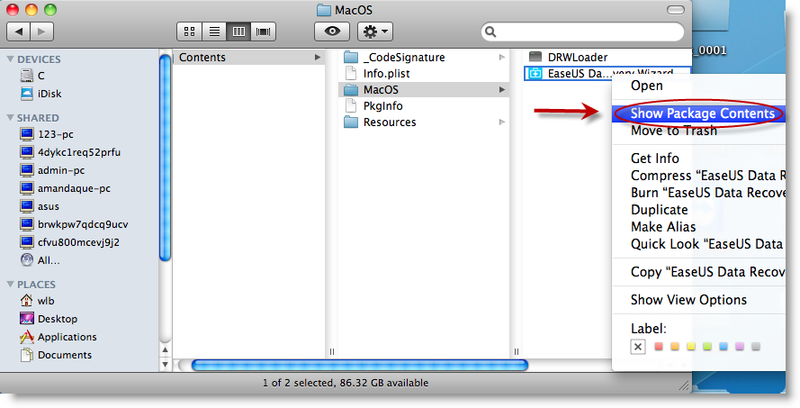 Re-choose Contents -> Mac OS, copy the MAC_DRW.log. You could send these files to support@easeus.com and EaseUS technical team will send you a reply in no more than 24 hours once they get the reports.